← Fighting Back When a Bad Contractor Shows Up at Your House! Contractor Dispute? Your Local Licensing Authorities Are On Your Side! When a contractor dispute erupts, state and local licensing authorities have the muscle to get you satisfaction. This varies from one location to another and one profession to another. Plumbers andelectricians typically have strict and near-universal licensing requirements. 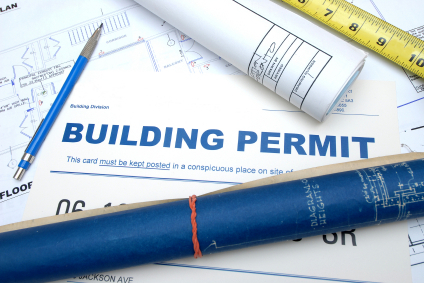 General home contractors may face fewer licensing requirements. A certain level of education or training. A minimum level of experience. Kept up with changes in code. There is no absolute guarantee—licensed professionals of all stripes face charges all the time. But with a licensed professional, you’re far more likely to have your project turn out well, and a better chance of redress if it doesn’t. Note also that licenses usually refer to professional competence, not general business practices. For example, a licensed plumber may be in violation of his license if he improperly installs a pipe so that it floods your kitchen. However, if all he’s guilty of is taking a month to install a new bathroom when he promised it would be done in two weeks, that’s probably not a violation of his license. In that case, you may have recourse with a lawsuit or a bond. With those caveats in mind, if you do face a case of actual contractor incompetence, you may be able to hit them where it hurts by reporting them to whichever agency regulates them. You need to check your area—state, county, or town—to discover who, if anyone, is regulating the guy working on your home. Check your local government website to see which work your town or county licenses. Plumbers and electricians almost always need state or local licenses, so they’re the easiest to confront at this level. Other firms may require licenses for all their work, certain kinds of work, or none at all. Sometimes independent professional organizations set standards, even though local authorities enforce them. What can licensing authorities do? Fines, on top of refunds for poorly done work. Suspension or revocation of a professional license. Loss of membership in a professional organization. In short, these agencies can temporarily or even permanently take away their right to work. In addition, some states also have recovery funds available to home owners who have suffered monetary losses to a licensed contractor. Again, this varies by state, and the amount available may be limited. Of course, you can’t get help unless your contractor is licensed, so check at the above site before your sign a contract to make sure the firm you’re considering has all the relevant state and local licenses. Before you rev yourself up to settle a contractor dispute, however, know your terms: In some areas, firms have to register with a local authority, but this is different from licensing, says Carmen Amabile, a Michigan residential maintenance and alteration contractor, and author of How to Hire, Manage, and Fire Your Contractor. This entry was posted in 2010 Mid Year Denver Market Watch, Buying or Selling Real Estate, Centennial, Cherry Hills Village, Colorado, Denver, Denver Housing, Denver Residential Real Estate, Greenwood Village and tagged Denver Building Permits 2010. Bookmark the permalink.